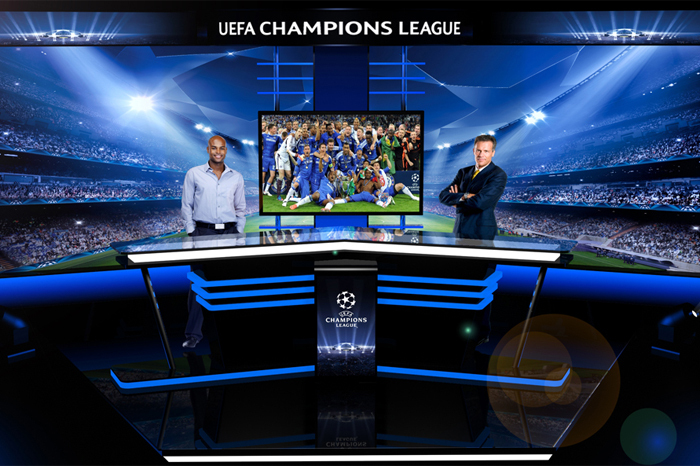 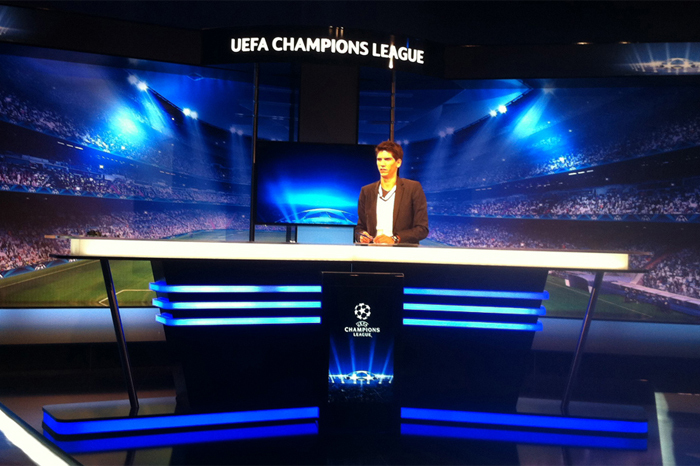 Sport Klub TV commissioned a studio set for their 2012 broadcast of the UEFA Champions League together with a book of frame shots and directing of the studio broadcast. 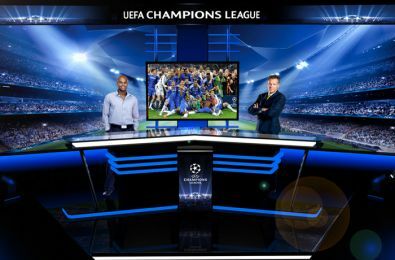 The set was designed to give an impression of the studio being placed right in the centre of the action, i.e. the football field.